Ask fellow campers about "Sweetwater Summit Regional Park" and nearby attractions. Sweetwater Regional Park Campground - Bonito, California. This is a fairly large county ran campground that is park of the Sweetwater Regional Park. Most of the sites are fairly large and wide with full hook ups. My negatives on the park are, the undergrowth between the sites, should be cut back, the pay showers need to go away. The interior roads are a bit narrow for the sharp turns that you need to negotiate in a big rig with tow. Overall we enjoyed the park and would stay here again if in the area. Just a note of caution, the roadway coming into the park, is not great and does have some low branches, so plan accordingly. We camped at Sweetwater Summit Regional Park in a Motorhome. I’ll preface busy stating that we camped on the South Loop without knowing about the stark difference between the two. Had we camped on the North Loop I’m sure my review would have been glowing. We walked the North loop each evening wishing we were there instead of the South where things appear to have been neglected a bit. It wasn’t a total bust given the decent rate we got but in retrospect I’d pay the higher rate for the newer North side. We camped at Sweetwater Summit Regional Park in a Travel Trailer. Watch for the rabbits that multiply at dusk on the North Loop. The ants are indeed a major problem. A ranger said "the park is basically on a giant ant hill" but they are much more aggressive in summer when they're out looking for water, compared to winter. We sprinkled Ajax around the legs and stabilizer jacks of our 5th wheel, but not enough, since one night they marched over the Ajax, up a leg, and invaded. We got rid of the swarm by extending the circumference of the Ajax barrier, spraying the legs with bleach, putting more Ajax around any utility line that led to the coach, making the inside of the coach sparkly clean with no exposed food (Ziplocs, etc), and trash out before bed into the ant-infested cans. After the swarm stopped we spent the next few days killing the stragglers in the kitchen and bathroom. We stayed in 3 sites during our 10 day stay, and our 'invasion' was in a newer full hook-up site in the upper area. Regarding homeless persons and crime we didn't use the facilities and had everything locked up tight, so had no issues with theft. Luckily we had no problems with our 3 pre-reserved sites, but several have very severe lips that may be difficult for a trailer or 5th wheel, so examine the photos carefully before reserving. Now the positive: It is reasonable$ for San Diego and fairly close to freeways making it an acceptable base for exploring the area, and the 50 amp electric worked fine. Since it's on a hilltop many of the spacious sites have pleasant vistas across the area, though you can't see pretty Sweetwater Reservoir (no access) from your site, and the summer air quality from Tijuana smog was an issue, it was never clear. We camped at Sweetwater Summit Regional Park in a Fifth Wheel. 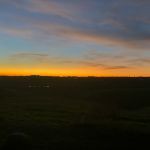 Besides the walking paths around the hillside, dirt paths connect all the way to and through the town of Bonita, and to the paved Sweetwater River Bike Path that leads to San Diego Bay in about 9 miles from your site, the only hill being up to the park. From the bay you can ride all around it, using a ferry, as described in enCYCLEpedia Southern California. We had read an extensive number of reviews on various campground review sites prior to making a reservation. Significant numbers of reviews have been critical of the ant problem at Sweetwater that cannot be controlled by various granular and spray pesticides as well as the use of diatomaceous earth. We mistakenly thought that the diatomaceous earth spread around the perimeter of the motorhome would be effective. This was a huge mistake. Within a couple of days, we were inundated with thousands (no exaggeration here!) upon thousands of ants inside the motorhome and extending from the bedroom and bathroom all the way to the cockpit area of the RV. This became so nightmarish that we departed the site five days early to move to another campground. The ant problem is so severe that when my wife touched a small branch that was in contact with the side of the RV, her arm was immediately swarmed by ants. An additional problem that has been discussed on the various review sites is the problems with homeless persons in the park at night. My wife had an encounter with a homeless person at the restrooms. This is a potentially hazardous situation and since clearly there is criminal activity in the park (beware of theft signs are prominently posted throughout-including the door to every restroom). This should be investigated by the County and by law enforcement. The best tip is to avoid this campground-- you will not be infested with ants and bothered/threatened by homeless people wandering the park at night. We camped at Sweetwater Summit Regional Park in a Motorhome. I was in #17 and stayed for a week, price is weekly rate. Back in, with room for the car. A very nice gravel/dirt spot. Excellent services. The park is very convenient to San Diego's many attractions after a 15-30 minute drive. Did my driving after or before rush hours. Best thing is that the parks nightly price is much better then nearly all the RV parks in the area. Although not mentioned on their web site, this park has high speed Wifi. Unfortunately, it drops out suddenly and completely several times per day. I found that the cell phone internet connection also dropped out at the same times when I tried to tether to it so it's not the parks fault but the ISP's. A great feature of the parks web site is the reservation system that shows available spaces you can choose for your visit. I was in the loop where there are lots of trees, the other loops are more open. Park is very quiet, attractive, good WES. There are horses there occasionally. 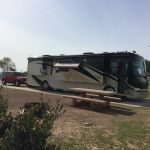 We camped at Sweetwater Summit Regional Park in a Motorhome. Watch for the 25MPH speed zone down the street from the park entrance on San Miguel Rd. Cops there sometimes along with many children playing at the ball park. Several small strip malls along Bonita road with the usual businesses including Vons supermarket (expensive!). There's a couple taco shops with really good food and lots of it. There are groceries, shopping, golf, and restaurants within 2-4 miles. Long paved sites, concrete pads with asphalt aproaches. Great view of the Sweetwater valley down to the Ocean from the site. Lots of tall vegetation between sites for privacy. Helpful staff work hard to maintain an excellant park. We camped at Sweetwater Summit Regional Park in a Travel Trailer. Very convienient to all San Diego attractions. This park is a gem but is in the beginnings of decay due to the homeless staying in here. There are two areas old and new. Highly recommend that you stay in the new area. Our neighbours were down on their luck but still had a Harley. They were tuning up the Harley over two to three days. There is no night supervision in this park but they give you a phone number for the Sheriff's office. Make sure you get the number! We camped at Sweetwater Summit Regional Park in a Travel Trailer. We are currently staying in spot #129. I was able to choose this spot when making online reservations. FYI - if you are a Distinguished Veteran Pass holder, you can camp here for free. See the park website for more details. On to the good stuff...when possible, make every effort to arrive here in the day time. The roads leading to the park are not lit at all and be a little dicey even if you have good vision. The folks at the gate were very friendly and helpful when we arrived. The signs that they said would lead me to our site where a little hard to read and we ended up having to make some extra turns. The site is nice and level and the hookups are in great condition. Outside firewood is prohibited which is a bummer. What isn't a bummer is being able to have bonfires within city limits. It is 10 PM right now so we don't know what it looks like in the day but we are looking forward to exploring in the morning. I will update this review accordingly. We camped at Sweetwater Summit Regional Park in a Travel Trailer. Get here in the day time. Bring cash so you can purchase firewood, if you want to have a bonfire of course. Bring bikes to get around the campground should you want to go exploring. We booked on-line, so we were able to pick the site we wanted. There is a $5 reservation fee, for booking on-line. This is also not like some other parks, where if you don't show up, you loose your site. Here, once you pay for the site, you don't loose it, it yours for the time you paid for. Getting into the park is via some narrow, hilly streets, but it is doable. The interior roads are asphalt, with the sites being concrete. They have Wi-fi, but the security certificate has expired, so we didn't use it. Antenna TV worked well, except we were not able to get CBS. Satellite TV was good, as did our AT&T cell phones. The connections were easy to locate and easy to get connected. Our site was long enough that we could have fit 2 of our coaches on it and still have room to park the toad. 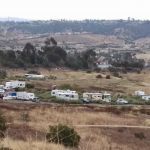 We camped at Sweetwater Summit Regional Park in a Motorhome. Very nice County park 20 minutes SE of San Diego. Maybe it's the time of year, but we have had no issues with ants, as others have. Clean, paved roads and concrete pads on the upper circle. No WiFi, but good Verizon signal here and lovely views from our campsite. If the place had WiFi and didn't charge for showers, it would be a perfect 10 in my opinion. Lots of space between sites, with some brush and bushes to provide a bit of privacy. We would return if in the area again. We camped at Sweetwater Summit Regional Park in a Motorhome. Pizzo's Pizzeria is a 10 minute drive from here and has some of the best pizza we've ever eaten (get the Neapolitan style pies). Very nice site in the upper area of the park. Nice concrete pads and in good shape and level. Almost everything about the park is good. We did not have ants this visit(well a few and I sprayed). The coin operated showers, except for the handicap one, are a joke. The quantity and pressure of the water is almost none existent. The handicap stall is better than an average shower with excellent pressure and volume. Guess which shower gets used by the majority! They do need to improve the others. Very roomy sites. No trees in the upper but lots of space. 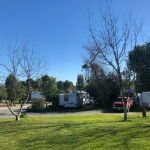 We camped at Sweetwater Summit Regional Park in a Travel Trailer. Beautiful location with a view of city lights. We stayed here 3 nights and never saw an ant. Did see a roadrunner and ground squirrels. Sight was concrete, level, and easy in and out. We drove around and saw several other sites we would like to try. We had no trees, but weather was nice. Near San Diego, and Chula Vista is right down the road with everything you will need. We camped at Sweetwater Summit Regional Park in a Fifth Wheel. San Diego is only 15 minutes away. Lots to do there. We will be back next year to stay longer and see more. Vons and Albertson's very close for food. Lots of restaurants and gas just down the road. Came down on I-5 and 805. Went back up north on 15. Traffic on both, but less on 15. However, 15 has a number of ups and downs, while I-5 is flat and has a view of the ocean. I really like this campground, but unless they get the ant problem in control, I will not be back. The sites are large, with a great view, and reasonably priced for full hookups. Roads and site pads are in good condition, as well. Overall, it is a great campground, but there are ants. Within a few hours, I had thousands and thousands of them marching into my RV. I put out Terro ant bait and sprinkled borax around outside, and even sprayed with some Raid I had, but within 6 hours they were back in full force. I went out to a hardware and bought some more powerful ant and roach killer and sprayed it outside and inside, following the ant tracks. I also took the bathroom drawer out and sprayed back there where there were a lot of electrical and water connections. All of this made me cough so I had to turn on fans and open windows. I also followed the lead of some neighbors and tied my electric cord and water hose up so neither touched the ground. This did make the ants mostly go away, but the floor on the inside of my rig was sticky with Terro and spray residue, so that meant a lot of cleaning. I talked to several neighbors who had had the same problems. You could also see a lot of white borax or Comet residue on a lot of sites. The response of the staff was that the whole campground was a giant ant hill, so what did I expect? They also said I should have put a barrier of spray and borax around my unit to prevent the ants. If that is what was needed, it should have been included on the confirmation letter as a warning so I could have come prepared with more chemicals. (Someone did come around and sprayed, which helped for a few hours, but did not eliminate the ants.) Instead of relaxing, I spent a lot of my time spraying and protecting my RV and then cleaning up the mess afterwards. I also had trouble sleeping because I felt "buggy." We camped at Sweetwater Summit Regional Park in a Motorhome. This is a great campground located 20 minutes outside of SanDiego. Sites are concrete, level and spacious surrounded by shrubs and bushes. Staff are very nice and accommodating. NIce playground with water/splash park. The park has a rustic feel with modern conveniences. Heed the previous comments about ants. Set up your barrier with comet like substance and you will not have a problem. We camped at Sweetwater Summit Regional Park in a Motorhome. Sweetwater Summit is located in Bonita, which is literally a part of San Diego. Everything we wanted to see was within a 20-30 minute drive. Temecula Wine Country is 1 hour drive time. Great beach at Imperial Beach. Tow your second vehicle in. Plan your stay to the exact day (no refunds). I liked the loop we were in because there was no one in front of us and we could see the whole valley below. Are you affiliated with Sweetwater Summit Regional Park ?